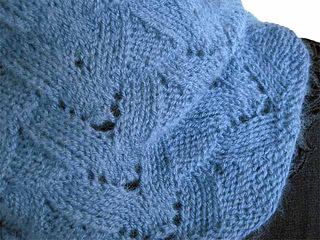 The double wings of this stitch made me want to name the pattern after a type of bird, or a place where birds are known to gather, like southern California’s San Juan Capistrano and the swallows that return to nest there every year. 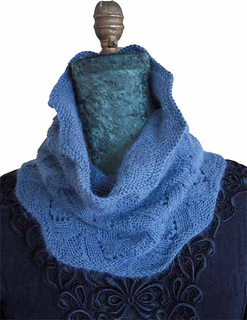 This design incorporates two versions of one stitch pattern: one increases using a yarn over, the other using a make 1. 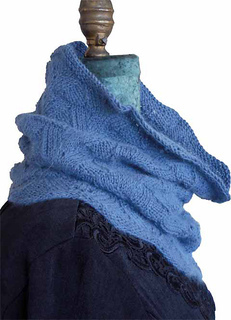 The result is a cozy cowl that drapes nicely over the shoulders. Sizes (circumference x height): 24 x 15 inches; 61 x 38 cm. Yarn: 300 yards sport weight yarn. Skills: K2tog, ssk, YO, double YO, make 1 right, make 1 left, make 2. Other supplies: One stitch marker required. Lifelines and additional stitch markers are optional.